We launched Freightview for WooCommerce in March. Since then, the number one request we have gotten from customers using it has been the ability to support adding a markup to the displayed rates. First, invite a new user to your account. You can do this by clicking the plus sign above the list of users on the Freightview Homebase page. We recommend using a distribution list email for this user, but any email address works as long as you can get access to its inbox. Once you've invited your user, go ahead and add a markup to their account. This will apply to rates they see inside Freightview as well as rates from our rating API using their API key. 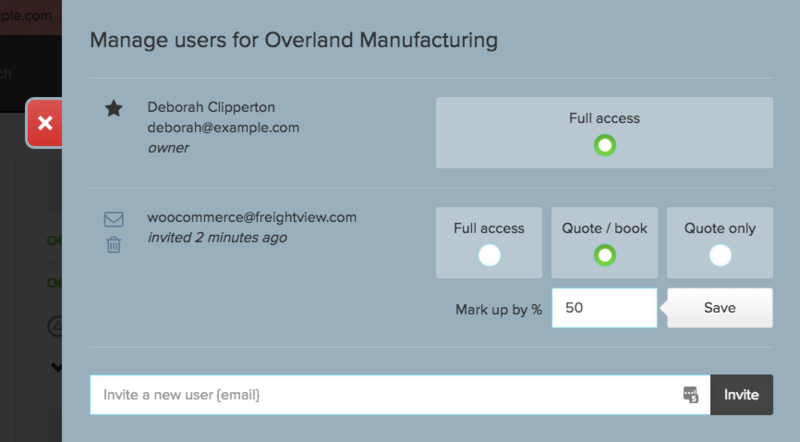 Log out from your Freightview account, and check the email for the user that you've just added. There should be a message from us inviting you to set up your Freightview account. Go ahead and set up the new user. 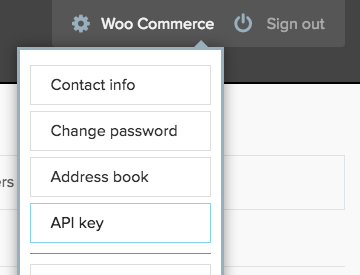 Copy this API key and paste it into your Freightview for WooCommerce settings. That's it! Your WooCommerce cart should now be showing rates to your customers with the markup included.